A home is a place of comfort and care. Many people take pride in how their homes are decorated as they believe that it is an extension of their identity. Because of this simple fact, people pay immense attention to the interiors of their residence, making them as classy and comfortable as they can. Only the best Natural Stone Cleaning companies will begin the process by deep cleaning your stone, focusing on the areas of concern. These can be heavily soiled grout joints or other cracks and ridges where dirt is most likely to settle. The final cleaning touches are given by a neutralizing steam rinse extraction. 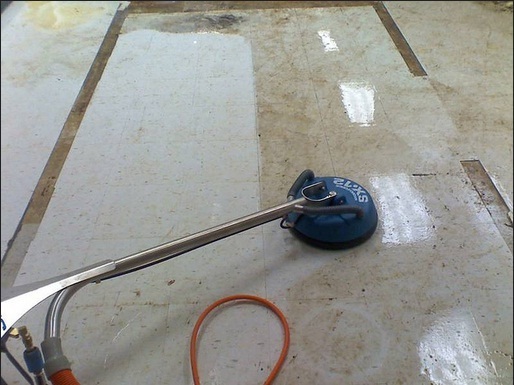 Using coarse diamond resin pads, a professional natural stone cleaner will remove scratches and blemishes, especially signs of chemical etching. In order to reduce the mess, modern stone cleaners make use of water so that there is no flying dust to clean up afterward. You might want to discuss the different looks you can get for your stone with different kinds of polishes. Make sure your natural stone cleaning company provides you with the benefits of each kind of polish finishing and recommends the best one for your stone. Some good companies these days are using environment-friendly techniques, equipment and chemicals that leave behind a shine that lasts the longest, without harming the planet. It is recommended by expert stone cleaners that a successful natural stone cleaning process is incomplete without sealer. A clear solvent based impregnating sealer will form a protective shield on the surface of your stone, safeguarding it from everyday thrills and spills. Travertine, limestone, slate and flagstone interiors look great with color enhancement sealer, which brings out the color and natural beauty of the stone along with sealing it. Contrary to common belief, stone cleaning does not end with sealing. A lot of care and attention goes into extending the life of your stone cleaning process. Experts believe that the right aftercare and the right mopping method can make the cleaning process last longer. It is very important to know how to take good care of your home surfaces. Advanced Surface Solutions LLC, for example, is a natural stone cleaning company in the Phoenix Metro and East Valley Area that discusses every aspect of the process with their clients. They use real diamonds and water in the polishing and honing steps so that the cleanfinish can last longer. In addition to that, they also provide excellent advice on how to take good care of your interiors after the natural stone cleaning is complete.